Richard Keevey is the former Budget Director and Comptroller for the State of New Jersey — having been appointed by two Governors. Keevey was appointed by the President and confirmed by the U.S Senate as the Chief Financial Officer for the U.S. Department of Housing and Urban Development. Rich also served as the Deputy Under Secretary for Finance for the U.S. Department of Defense, where he was the CEO of the World’s largest finance operation. In the private sector, he was a Practice Director for Arthur Andersen, the Director for Core Administration programs for Unisys Corporation. Keevey also was the Director of the Policy Research Institute for the Region at the Woodrow Wilson School, Princeton University. In his community, Keevey was an elected school board member for nine years and a member of the Board of Directors for his local hospital. He served overseas as an artillery officer in the U.S. Army. He presently serves on the Board of Directors of the Center for Health Care Strategies, Inc., and the Mercer Alliance to End Homelessness. He is a FELLOW of the National Academy of Public Administration, the MIT Program for Foreign Policy, Leadership NJ, and the Council for Excellence in Government. 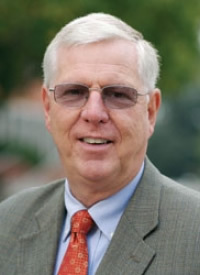 Keevey is a member of Who’s Who in America, and the recipient of both the DOD medal for Distinguished Service and the DOD Medal for Outstanding Service from the Secretary of Defense. Rich, and his wife Elizabeth have 3 children and 7 grandchildren. 2016: Steeber, Annelisa MPP and Richard F. Keevey, MPA, “Debt Crisis or Funding Safety Net Programs.” Journal of Government Financial Management, Spring 2016, p. 35-40. 2015: Keevey, Richard F. “Public Policy vs. Public Administration: Different in Character, Both Critical for Success.” PA Magazine, Winter 2015-2016, p. 2-3.